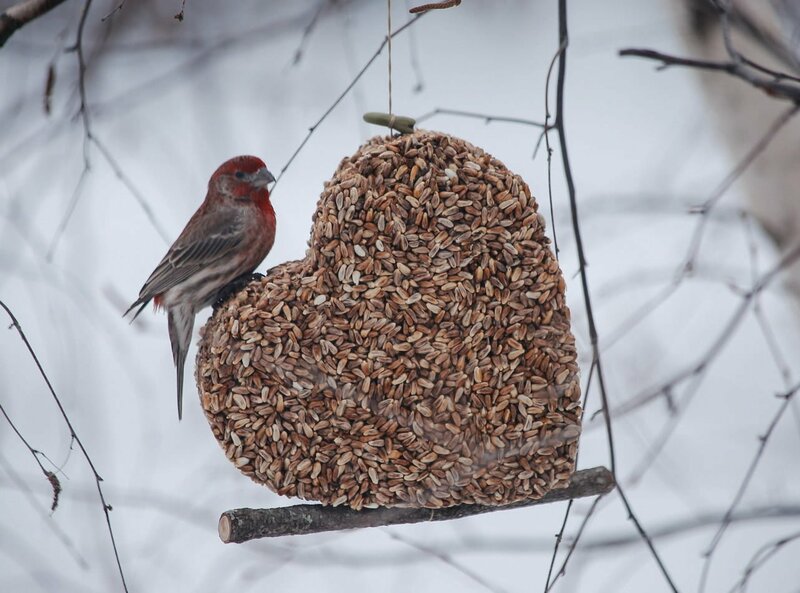 Your wild birds will ♥ you for bringing this one home! The chickadees and nuthatches love the super cute, pure golden safflower Seed Creation, a novelty in my backyard. I am currently offering them the gigantic heart. Despite steady visits, I still have a sizable chunk left after three weeks. The hulls are extremely thin, and they are kind to my lawn. Best of all, while the squirrels raid my other feeding stations, they ignore the safflower treats. Bird watchers who live in windy areas will find it beneficial to hang the Seed Creation from a larger S-hook (shorten the hanging loop so that it is close to the top of the seed ornament and attach the hook to it). I bought an amazing bird feeder to put out In my back yard in memory of my beloved kitty snowball. She used to love to sit on the back porch and watch the birds. I will want another one when the birds eat this one up! Just found a box delivered to my front door and found the bird feeders (already here…you guys are faster than Jimmy John’s I think! ) But the best surprise ever was your handwritten note folded up with the invoice. Thank you for adding just that extra special something to my day. I received my first Wild Bird Treat (the egg shaped one) as a gift and the birds loved it and the squirrels ignored it!!! Just bought my second heart from Willow Winds Garden in Waconia. I love that I don’t have to fill it up. When it is gone, I just get a new one. They last quite a long time and I love watching the birds enjoy it. Thank you for a great product. My favorite garden accessory. 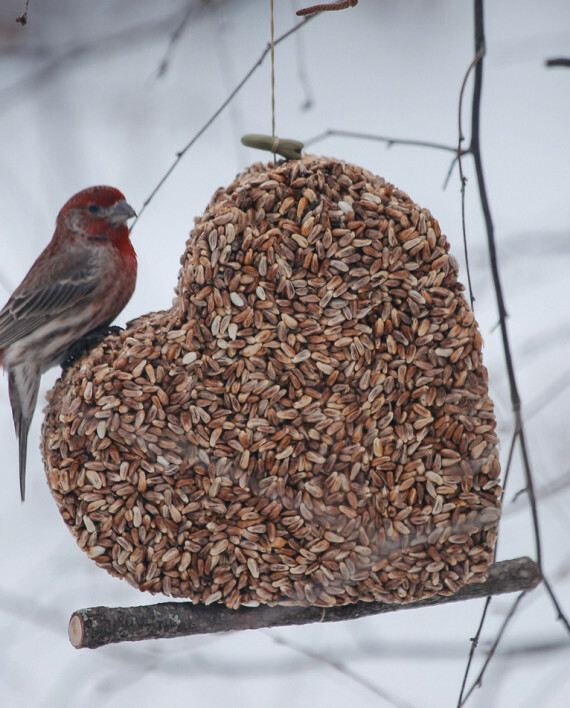 The birds absolutely love these feeders. They pick them clean with no stray seeds to cause unwanted weeds in the garden. I appreciated you sharing how/why you use the seeds you use, very interesting! Can’t wait to give these as gifts! LOVE WHAT YOU DO and so do the birds !! I bought The Feast at the Canterbury craft fair November 2017, and the chickadees, nuthatches, kitties, and I are loving it! Having a zoo of squirrels around, I know they eat out of my other feeders, but they leave this one alone. Thank you for your product and shared love of birds!